Honing his woodworking skills for the last 35 years by giving homes a gorgeous, custom new look, Bill Shockley is a true craftsman. 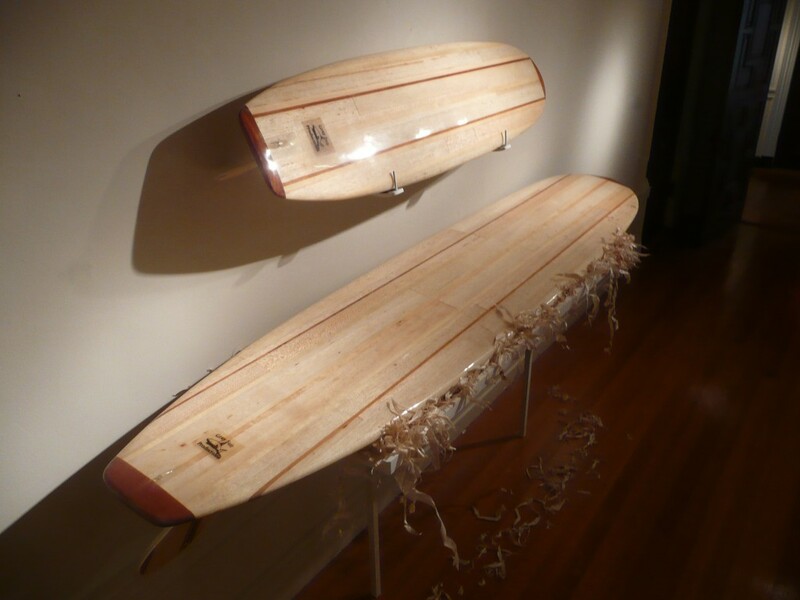 In addition to the custom design and fabrication in homes, he has found himself building surfboards and skateboards, taking a more classic approach by processing his lumber and transforming it into ride-able pieces of art. How did you get started in woodworking? 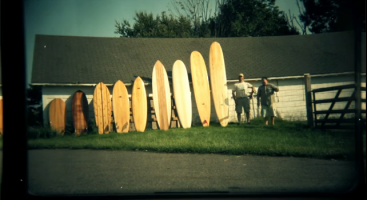 And what kind of projects do you work on (besides surfboards)? I’ve been a woodworker for the past 35 years. My work is mostly residential in nature: kitchens, furniture and architectural woodwork. How did you get into board building? 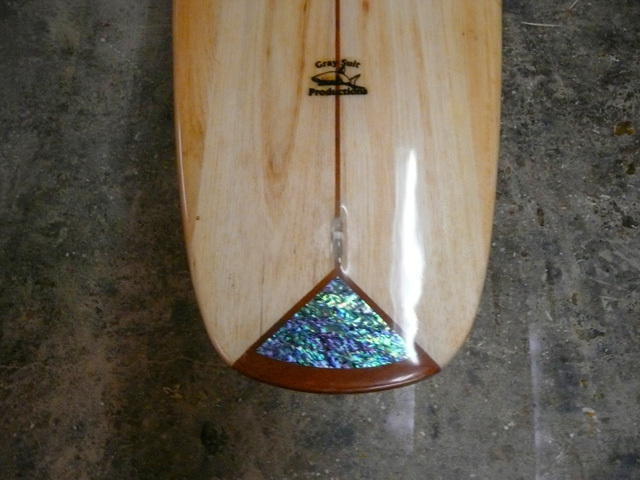 What drew you to creating wood surfboards as opposed to traditional fiberglass boards? I started surfing later in life, and it was a logical step to make boards as I was familiar with the material, had the necessary tools, and the requisite knowledge of their usage. 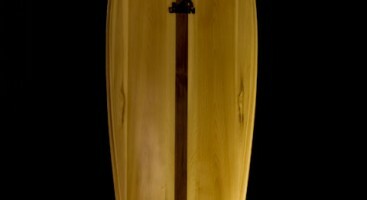 I don’t view myself as a board shaper, but rather as a woodworker. As a result, foam is of no interest to me. Prior to the last 65 years or so people rode reeds or local lumber. Fine with me. What is your process of making a board? How long does it take to make a board? What types of wood are you using? 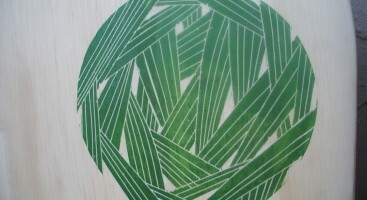 What kinds of boards do you make? Do you use the wood scraps/dust/shavings for anything else? Recycling, if you will? Most of what I have built are balsas; long, wide, and with heavy glass jobs. I came into some wood a while ago in the rough, and enjoy processing the lumber into usable stuff. I shape from templates that I have made. I partially chamber the blanks after the glue up, but prior to the plan shape layout, or the turning of the rails. Making the slab from scratch can take a couple of days to get to the point of glassing. This doesn’t include the time for fin construction. The V-bottom, Pacific Homes type of boards, also use some pine and western red cedar as well as balsa. Pauwlionia is also an option. Whatever is around I will use. 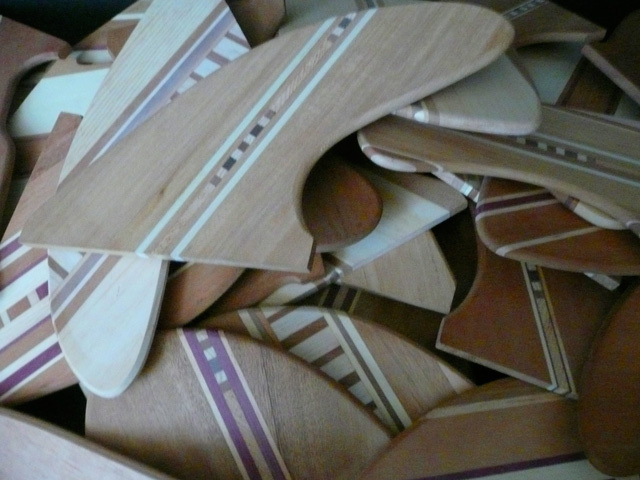 I’ve also layered up some kneeboard blanks. Balsa and pine shavings end up in the garden compost, and scrap wood into a stove. Other hardwood scraps go into skate decks. 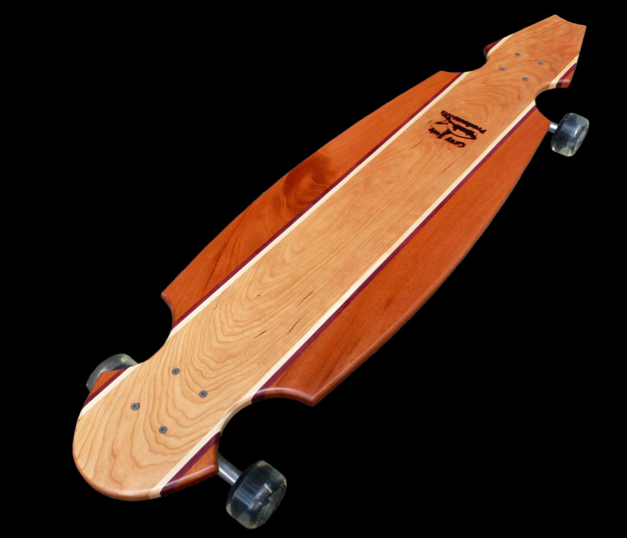 How much do the boards weigh and is there a difference in ride compared to a fiberglass board? In describing the boards I would say they are heavy, but buoyant, not much in the way of performance, hard to turn, but the glide is wonderful and they look great. Real ’57 Chevy’s they are. The small boards are also heavy but have a little more zip. I’m actually now fooling around with a couple of hollow “mini Simmons.” HA, HA. But I’m having lots of fun. In addition to woodworking, I see that you have a studio as well, for I am assuming some sort of bronze sculptures. What else are you busy making? 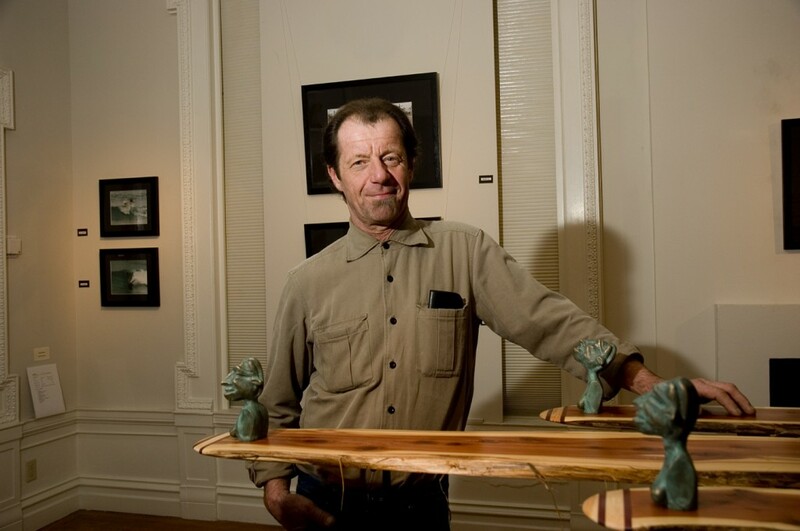 My background is in fine arts, and I’ve lately been involved in making some small bronze sculpture for a show at the Alexey Von Schlippe Gallery of Art at the University of Connecticut at Avery Point in Groton Connecticut in 2013. Explain the surf scene in Charleston, Rhode Island, for those of us who have never experienced it. Charlestown is 8-10 miles from a couple of “old guy” breaks. 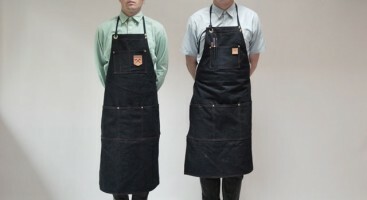 6/5 suits in the winter with ice cream headaches, and Bloody Mary’s afterwords. If you play your self employment cards well, you can surf lots of uncrowded waves. The locals here are cool, and like anywhere else, just want to have a good time. 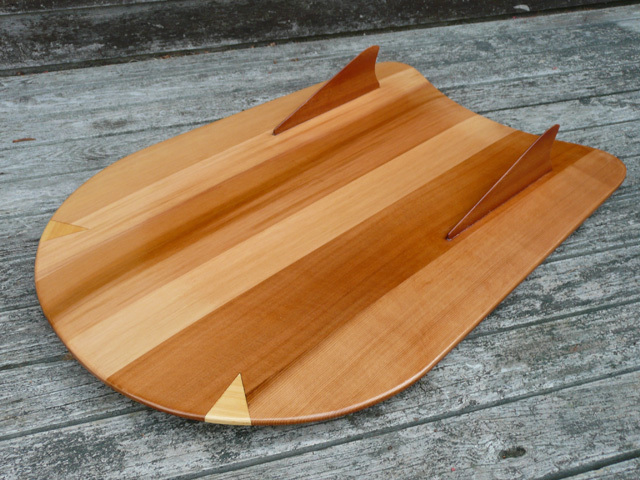 Do you have any tips you can give to those interested in building their own wooden surfboard? I guess the only advice I would give anyone wanting to build a wooden board would be to never get tired of asking questions, do your homework, trust your instincts, and buy the best possible tools you can afford.